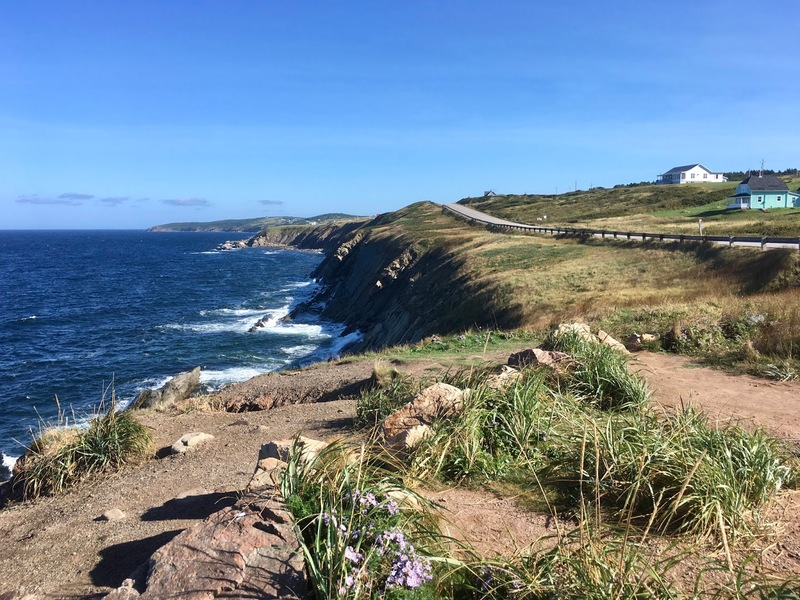 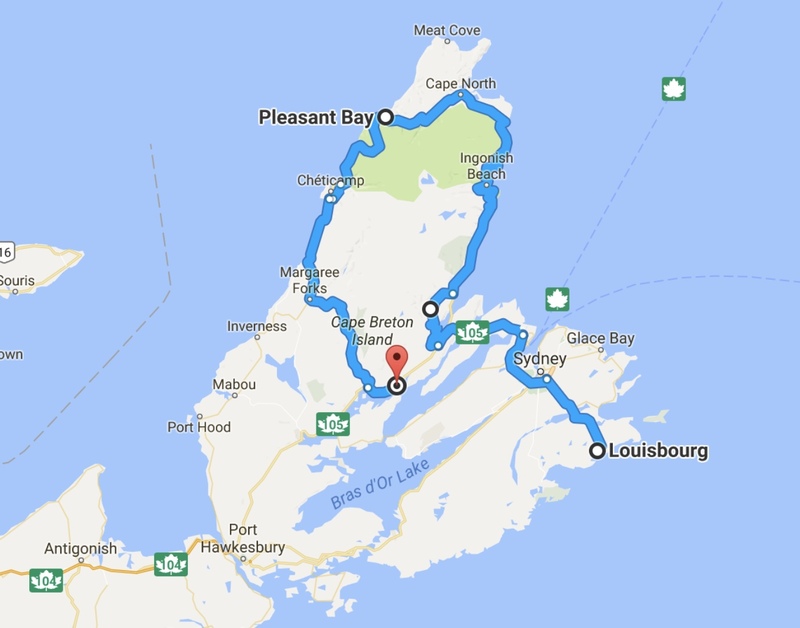 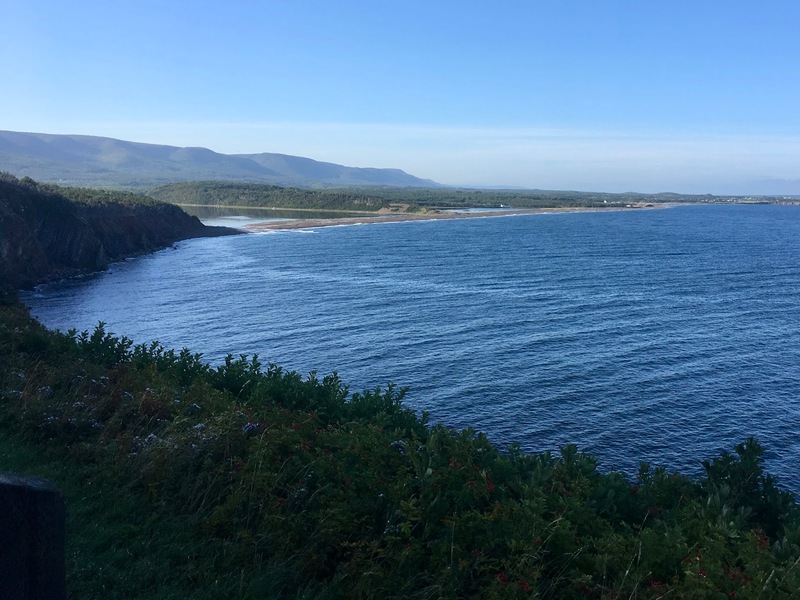 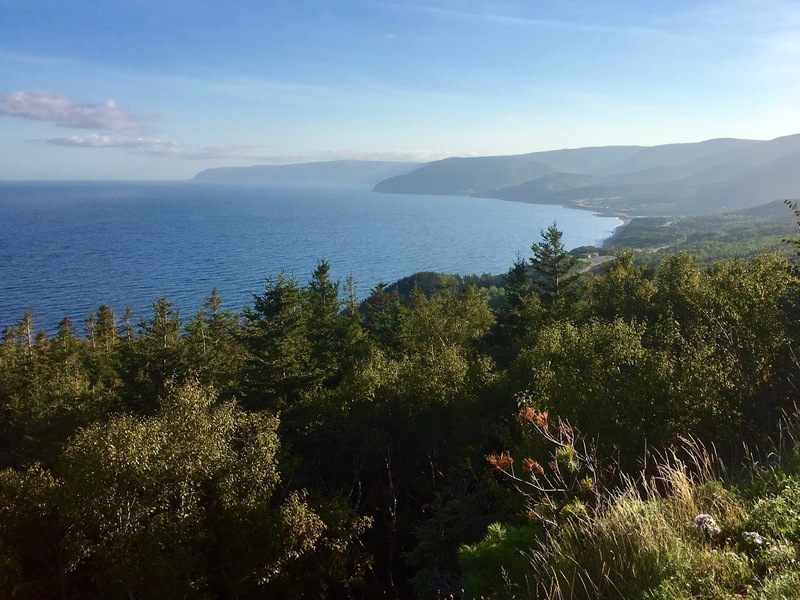 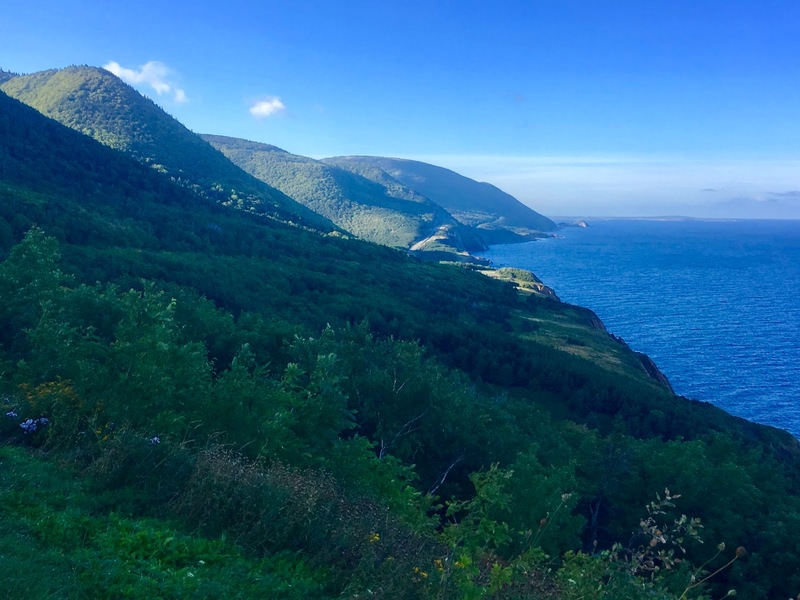 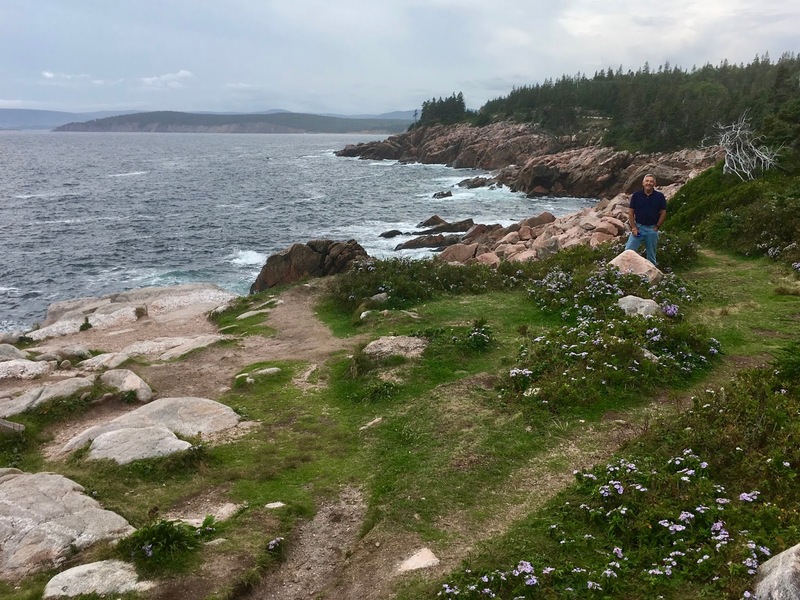 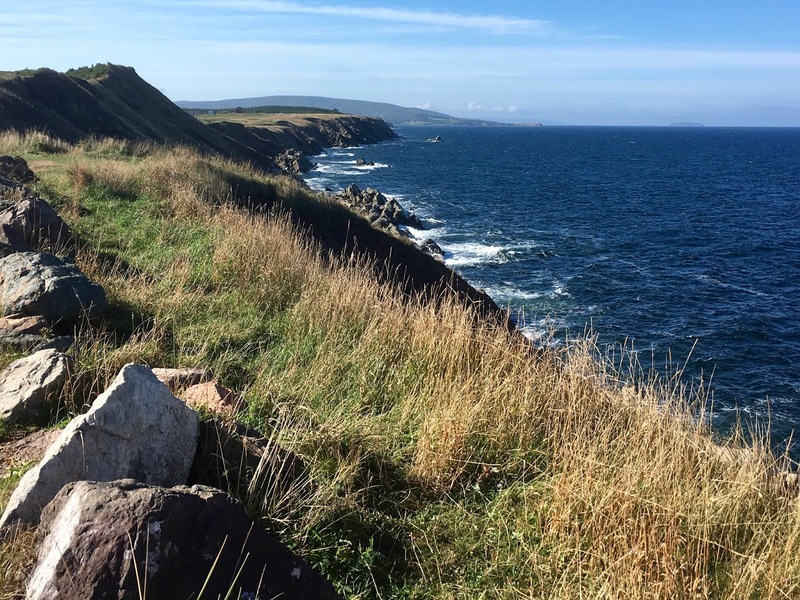 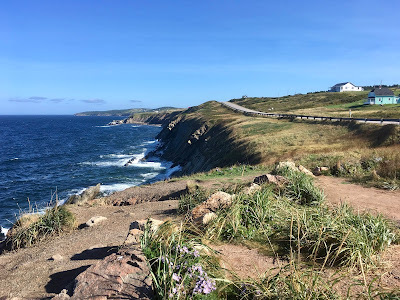 This 300 kilometre drive is considered one of the world's most scenic routes with stunning oceans vistas, old-growth forests, prehistoric rock scarred by glaciers and the Cape Breton Highlands. 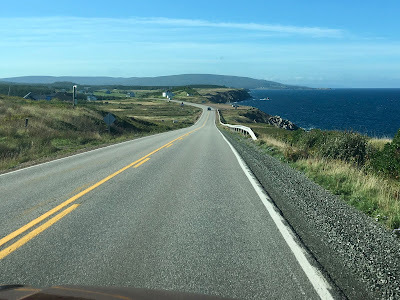 Some of the highway climbed high along the coastline and I have no qualms in saying there were moments when it was a white-knuckling experience. Add a little fog into the mix and it goes downhill from there! The rugged coastline inspired and awed and invited many photo ops. 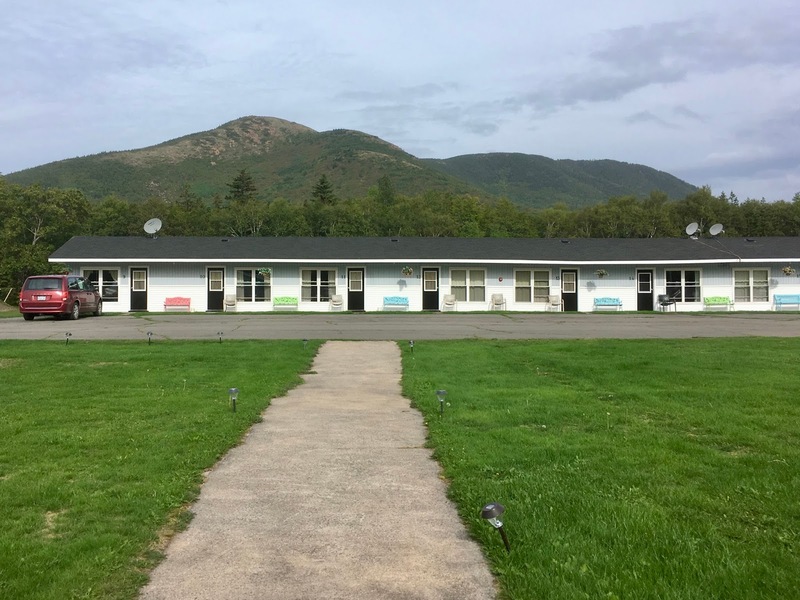 We stayed the night at the Mountain View Hotel in Pleasant Bay. Continuing southward the next day we savoured clear blue skies and super visibility. 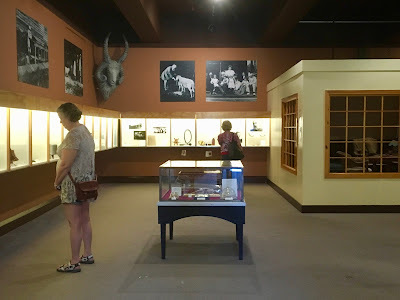 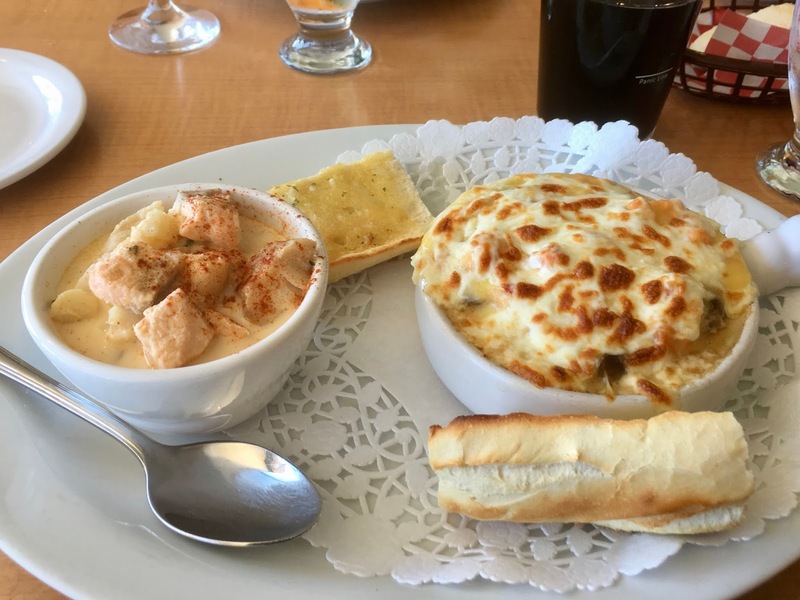 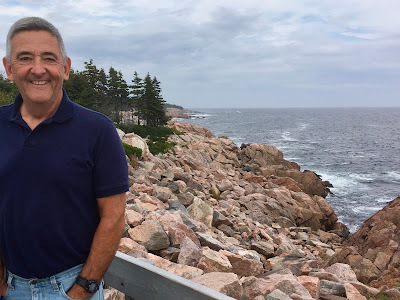 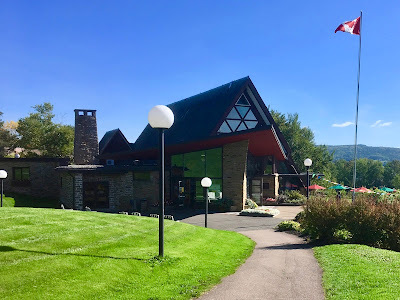 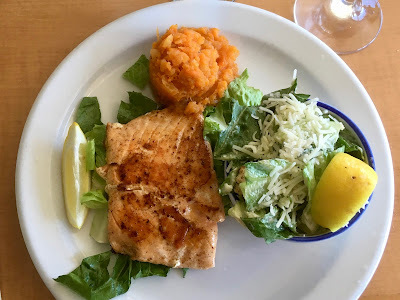 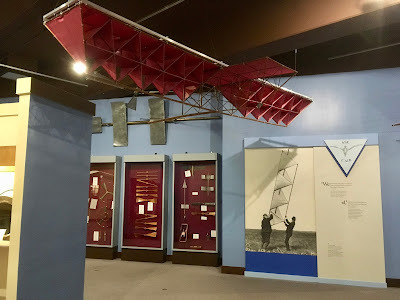 Our final destination along the Cabot Trail was the Alexander Graham Bell National Historic Site in Baddeck that is situated on the shores of the Bras d'Or Lakes. Born in Scotland in 1847 he and his family emigrated to Brantford, Ontario in 1870 after the death of his elder brother who died of tuberculosis. 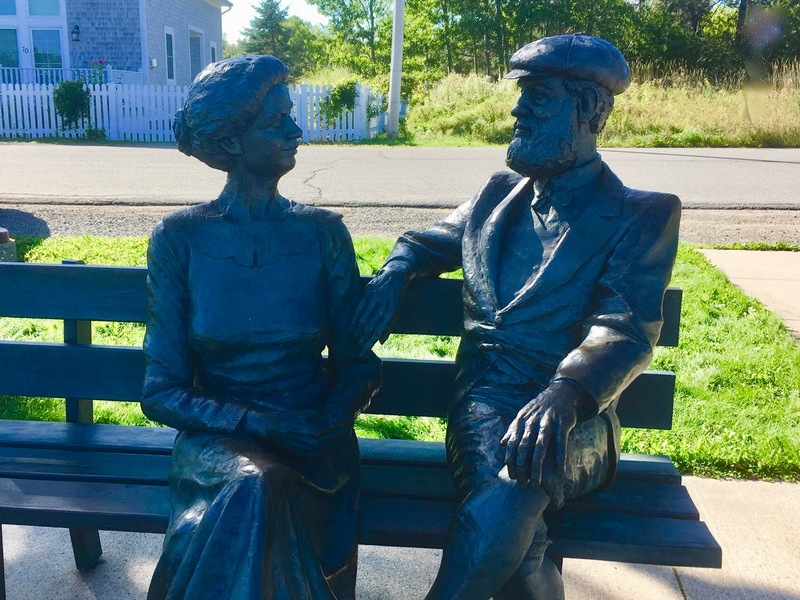 In 1871 Alexander accepted a position at a school for the deaf in Boston, MA and in 1877 married Mabel Hubbard. He became a naturalized American citizen in 1882. 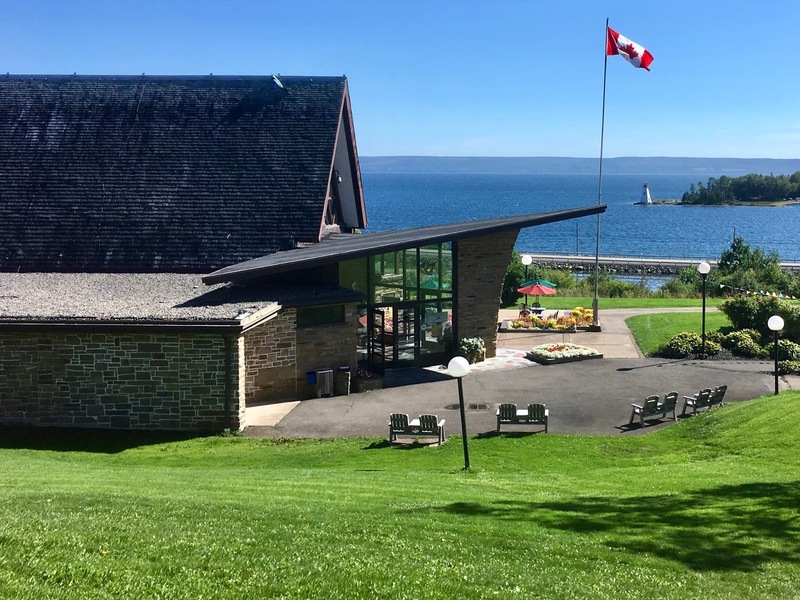 From the mid-1880s he and his family spent summers at their home "Beinn Bhreagh" near Baddeck. Bell died in 1922 and Mabel died in 1923. 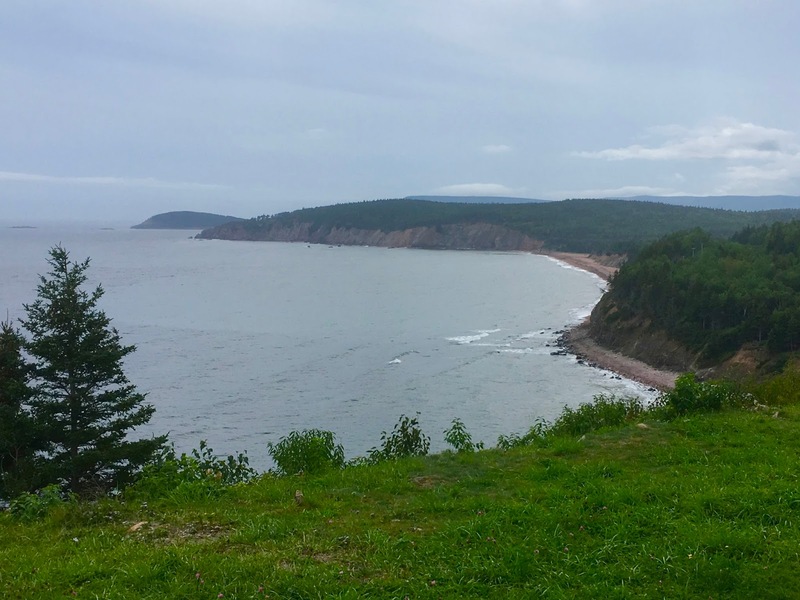 Both are buried on a hill on the Bell property overlooking their beloved Bras d'Or Lake. 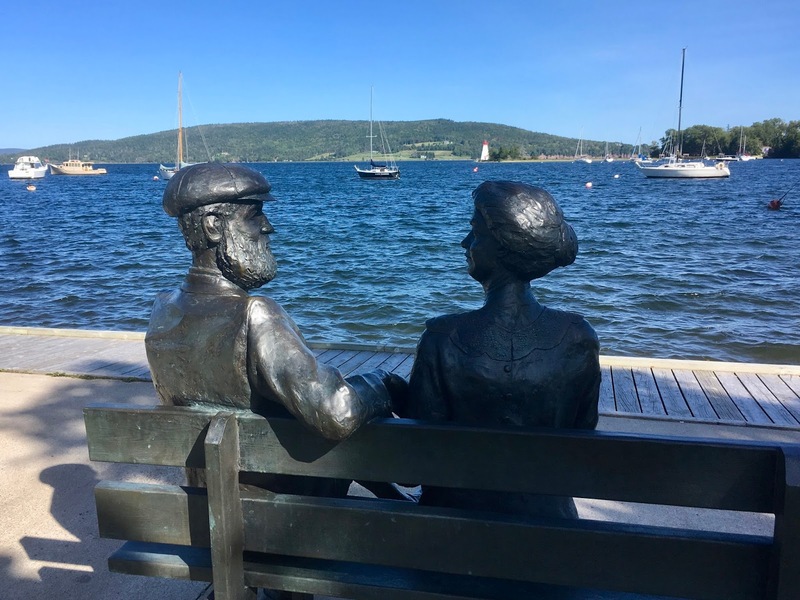 While the invention of the telephone is regarded as Bell's greatest accomplishment, he personally considered his work with the deaf his legacy. 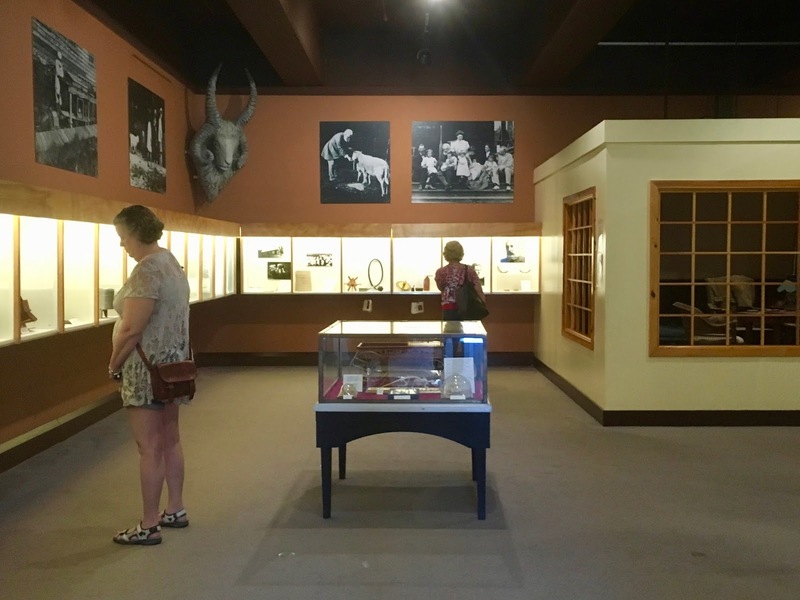 Bell had a close relationship with Helen Keller and her book, The Story of My Life (1903) is dedicated to Bell. He also had projects in aeronautics, hydrofoils and artificial respiration. 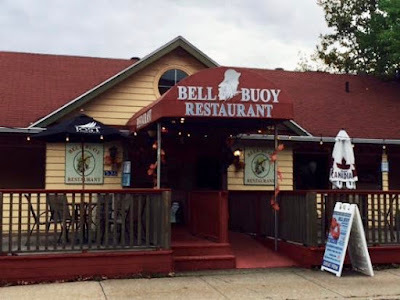 We'd hoped to return to the Two Buoys Restaurant for lunch, but it was closed so we opted instead for the Bell-Buoy Restaurant. 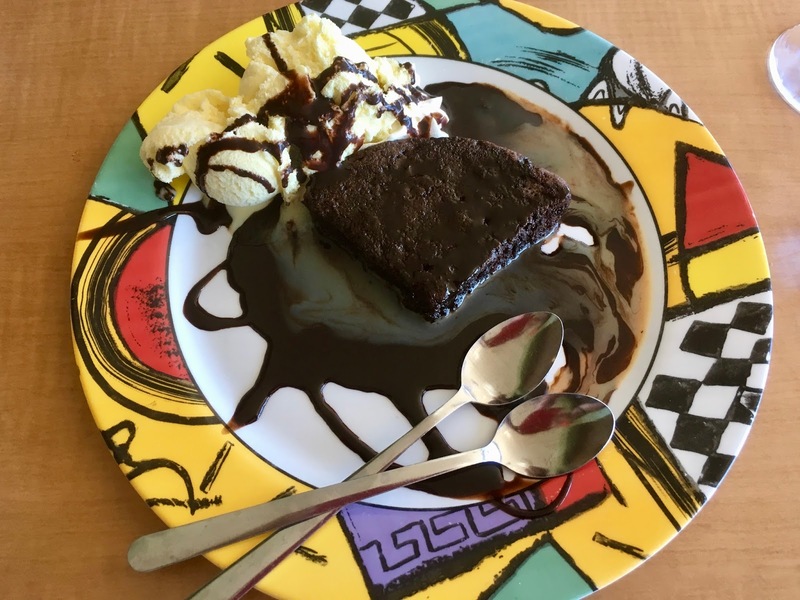 After our delicious chowder, lobster and salmon entrees we could not resist sharing a brownie topped with Bailey's Irish Cream. Mmm! Our final stop in Baddeck took us to the shore of the Bras d'Or Lake where once again we caught up Alexander and Mabel Bell. 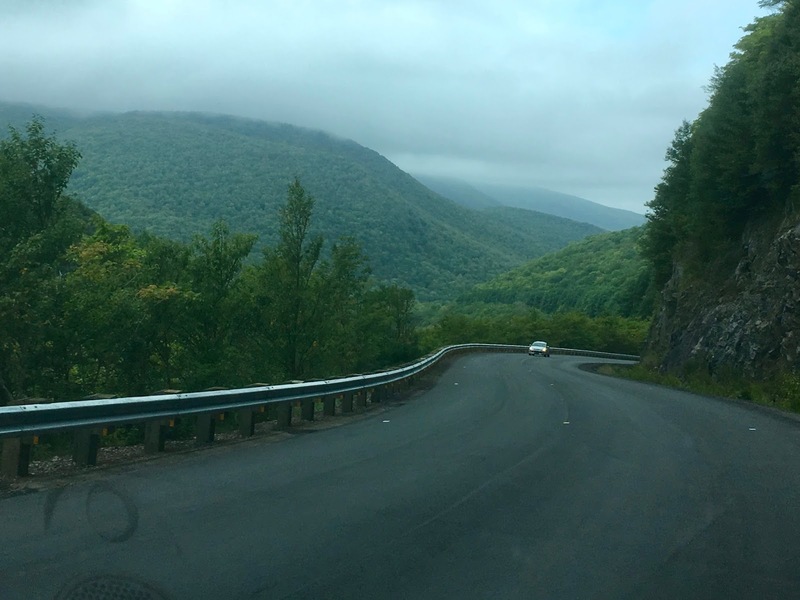 Like them, we stopped to admire the glorious view.